At least 100 million people, including Protestant Christians, are facing "high" or "very high" levels of persecution at the hands of the atheistic Communist Party in China, a report reveals. Freedom House noted that the Communist Party has been carrying out a worsening crackdown on various religions, seeking to stop the growth of faith in the world's most populous nation. 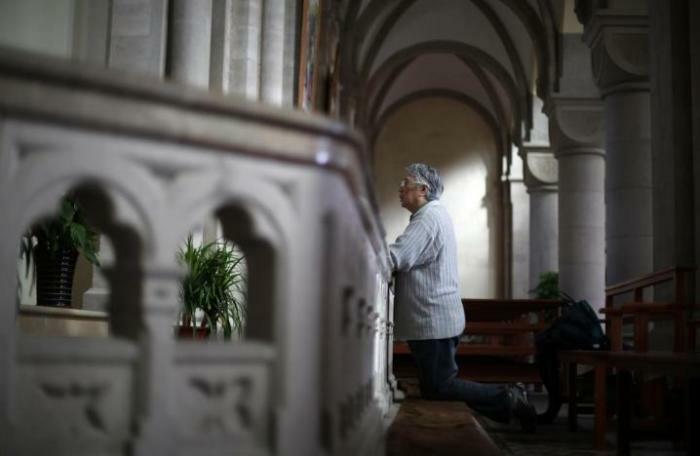 As many as 100 million people, belonging to various faith groups, were found to be targeted by authorities, with Roman Catholics said to be experiencing "moderate" persecution and Protestant Christians facing "high" levels of persecution. Tibetan Buddhists, Uighur Muslims, and Falun Gong practitioners were designated under the "very high" persecution category. Millions of believers are forced to defy restrictions on daily life in order to uphold their religious traditions and beliefs, which the researchers said is impacting "China's overall legal, social, political, and economic environment." "A Taoist disciple joins the order without knowing when he will be admitted to priesthood. Dozens of Christians are barred from celebrating Christmas together. Tibetan monks are forced to learn reinterpretations of Buddhist doctrine during a 'patriotic reeducation' session," the report said, listing some examples of individual cases of persecution. "A Uighur Muslim farmer is sentenced to nine years in prison for praying in a field. And a 45-year-old father in northeastern China dies in custody days after being detained for practicing Falun Gong." The Communist Party, which denies it is persecuting minorities, has been accused by Freedom House and other persecution watchdog groups of using both violent and nonviolent methods to oppress religious believers. Authorities have arrested protesters and religious leaders, shut down underground churches, and enacted restrictive laws seeking to control all aspects of religious life. "Since Xi Jinping took the helm of the Chinese Communist Party (CCP) in November 2012, the authorities have intensified many of their restrictions, resulting in an overall increase in religious persecution," the report continued. "But believers have responded with a surprising degree of resistance, including in faith communities that have generally enjoyed cooperative relationships with state and party officials." Xi's government has been attempting to show a willingness to reach out to some religious leaders and end decades of frosty relationships, such as its recent dialogue with Pope Francis and the Vatican over ordaining Catholic bishops. Groups such as ChinaAid have said that the talks are simply for show, however, and argued that the rumored "warming ties" are not going to make life any easier for persecuted Christians. "A partnership between the Vatican and the Chinese government would worsen the lives of house church Christians. The Communist Party already targets clergy who are not ordained by the state as illegitimate, which leads to persecution, and having the Vatican's backing gives them a further excuse to do so," ChinaAid President Bob Fu told The Christian Post in an interview last week. Fu told CP that Pope Francis would be making a mistake in making agreements with China, if that doesn't include lifting restrictions on underground churches. "China might be seeking to make a united front with the pope and the Vatican in order to appear as if it is respecting Christianity to the international society, when, in reality, the religion is still oppressed," Fu insisted.